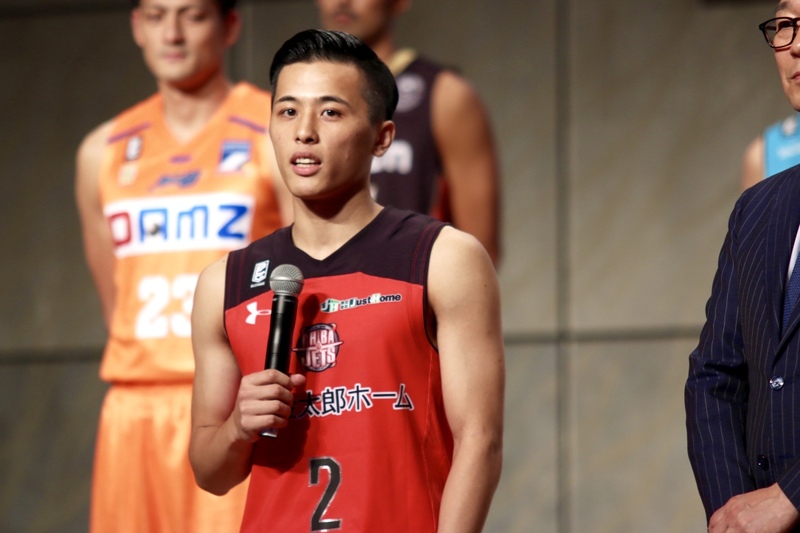 A new era in Japan pro basketball begins this week. Thirty-six teams, equally divided among the first and second divisions, will vie for popularity and notoriety in the inaugural B. League season. 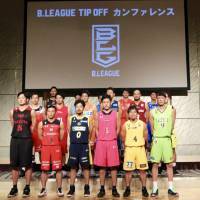 It all starts on Thursday night at Yoyogi National Gymnasium, where the star-studded Alvark Tokyo (formerly known as the Toyota Alvark in the NBL and JBL) face the 2015-16 bj-league champion Ryukyu Golden Kings in the season opener. Tipoff is set for 6:55 p.m. in a game that will be broadcast on Fuji TV to a nationwide audience. The Alvark and Golden Kings will meet again at the same venue on Friday before a full slate of games brings the league’s opening weekend into full focus on Saturday and Sunday. The disappearance of the NBL and the NBDL (the successor to the old JBL2) and the bj-league, which developed as a breakaway “rebel” circuit to the old, rigid JBL and began play in 2005 with six teams and had 24 when its final season ended in May, means Japan’s men’s basketball landscape looks completely different than it did at the start of the 21st century. Or even just five years ago. Now, it’s a fresh start in this lengthy 60-game season, and a positive chance for all teams to work together to increase the sport’s popularity and relevance, a sentiment that B. League chairman Masaaki Okawa and many others associated with the league have been saying in recent months. Across the board, one key change is in place for the current campaign: The B. 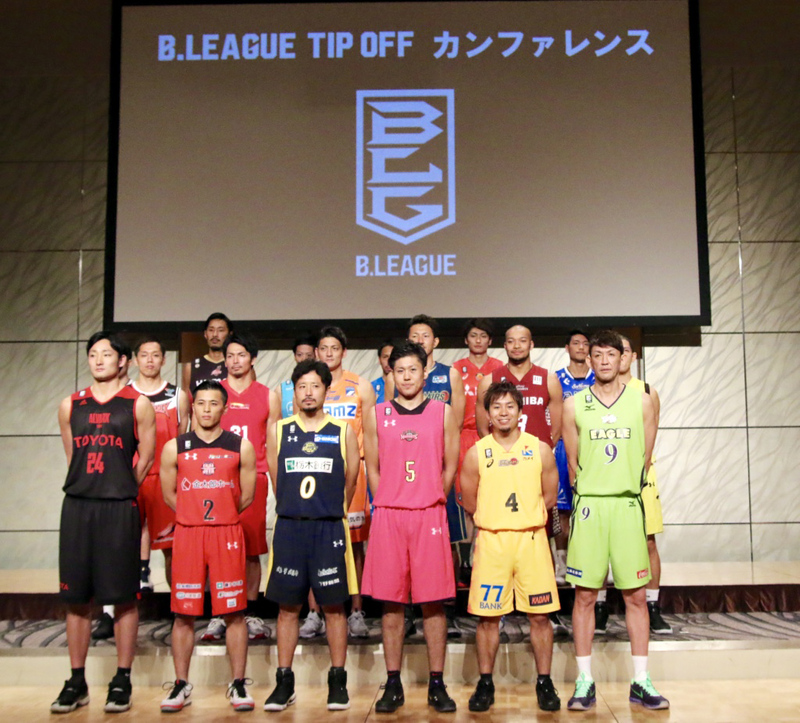 League will hold games only on traditional hardwood courts, not the synthetic sport court that was used for the majority of bj-league games over the past 11 seasons. Furthermore, the B. League’s game rules will basically adhere to the FIBA regulations that are used in the global game, not the bj-league’s focus on NBA-style rules. 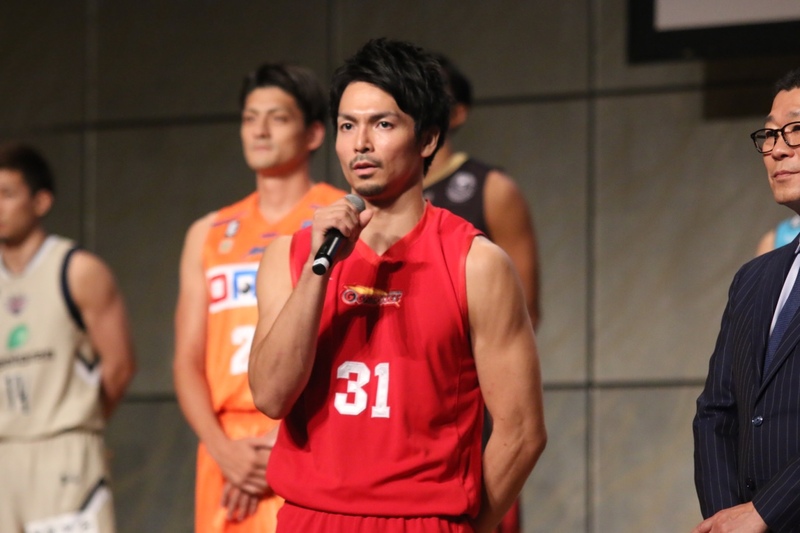 The lone Japanese to suit up in the NBA, Yuta Tabuse of the Tochigi Brex, remains the most well-known player, 12 years after his brief stint with the Phoenix Suns. The oldest player in the new circuit is Levanga Hokkaido mainstay Takehiko Orimo, who’s now 46, and players more than 20 years younger are working to hone their skills and become household names at the same time. So who’s in charge of the first divisions 18 teams? Here’s a quick rundown of the teams’ bench bosses. From the East division, it’s Kota Mizuno (Levanga Hokkaido, second season), Makoto Hasegawa (Akita Northern Happinets, third), Takeo Mabashi (Sendai 89ers, first), Tom Wisman (Tochigi Brex, third), Atsushi Ono (Chiba Jets, first) and Takuma Ito (Alvark, second). In the Central Division, the six head coaches are BT Toews (Sunrockers Shibuya, first season), Takuya Kita (2015-16 NBL champion Kawasaki Brave Thunders, sixth), Taketo Aoki (Yokohama B-Corsairs, second), Kazuhiro Shoji (Niigata Albirex BB, first), Bob Nash (Toyama Grouses, fifth) and Hiroki Fujita (San-en NeoPhoenix, first). For the West division, the following sideline supervisors are at the helm: Kimikazu Suzuki (Seahorses Mikawa, 22nd), Reggie Geary (Nagoya Diamond Dolphins, second), Koto Toyama (Shiga Lakestars, third), Honoo Hamaguchi (Kyoto Hannaryz, sixth), Dai Oketani (Osaka Evessa, second) and Tsutomu Isa (Golden Kings, fourth). Second-division teams will use the long campaign as a measuring stick for their future target of competing in the top division, aka B1. And the current crop of B2 squads are also broken down into three divisions. The East clubs are the Aomori Wat’s, Iwate Big Bulls, Yamagata Wyverns, Fukushima Firebonds, Tsukuba Robots and Gunma Crane Thunders. The Central squads are the Tokyo Excellence, Earthfriends Tokyo Z, Shinshu Brave Warriors, Fighting Eagles Nagoya, Nishinomiya Storks and Bambitious Nara. And the West teams are the Hiroshima Dragonflies, Shimane Susanoo Magic, Takamastu Five Arrows, Ehime Orange Vikings (formerly Oita-Ehime HeatDevils), Kumamoto Volters and Kagoshima Rebnise. Shifting the focus back to the top division, a rundown of many of the key competitors follows. EAST — Levanga: 211-cm big man Daniel Miller; Akita: 211-cm center Scott Morrison, shooting guard Shigehiro Taguchi and forwards Kevin Palmer and Deshawn Stephens, go-to stars in the bj-league; Sendai: steady point guard Takehiko Shimura and two-time bj-league MVP Wendell White; Tochigi: Tabuse and post players Kosuke Takeuchi, Jeff Gibbs, Tommy Brenton and Ryan Rossiter; Chiba: guard Yuki Togashi (former NBA D-League player), forward Michael Parker (a star in both the bj-league and NBL) and 211-cm pivot Hilton Armstrong (ex-NBA big man); and Tokyo: NBL mainstays Keijuro Matsui, Daiki Tanaka, Taishi Ito and Joji Takeuchi. CENTRAL — Shibuya: guard Taishiro Shimizu, a bj-league standout since 2005, and Japan national team forward Ira Brown; Kawasaki: ex-NBA center Nick Fazekas, power forward Mamadou Diouf and national team shooting guard Naoto Tsuji: Yokohama: ex-bj-league MVP and forward Jeff Parmer, a newcomer to the B-Corsairs, and another first-year addition in longtime NBL/JBL sccoring ace Takuya Kawamura, plus backcourt mainstays Masayuki Kabaya and Kenji Yamada; Niigata: ex-national team guard and newcomer Kei Igarashi and fellow first-year teammates in post players Clint Chapman, Stephan Van Treese and Davante Gardner; Toyama: former bj-league MVP Masashi Joho spearheads the 2015-16 championship runnerup squad with returning forwards Drew Viney and Sam Willard and former NBA center Earl Barron, a new addition; San-en (a three-time bj-league champion): potent forward/new signee Richard Roby and power forward Olu Ashaolu, who’s back with the team after a one-year absence, plus longtime contributors in guards Masahiro Oguchi (a feisty competitor who still contributes at 40), Shingo Okada and Shinnosuke Oishi and 206-cm national team big man Atsuya Ota. 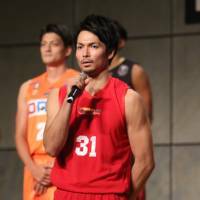 WEST — Mikawa: national team guard Makoto Hiejima and swingman Kosuke Kanamaru and forwards Michael Takahashi and J.R. Sakuragi return to the longtime JBL/NBL title contenders, plus ex-Fukushima standout/spitfire guard Masaya Karimata; Nagoya: 218-cm center Jordan Bachynski, former bj-league MVP/power forward Justin Burrell and guard Takumi Ishizaki; Shiga: star forward Julian Mavunga; Kyoto: NBL veteran swingman Yusuke Okaka, a newcomer, and returning frontcourt standout Kevin Kotzur; Osaka: new post player/NBA alum Josh Harrellson and shot-blocking maestro Xavier Gibson; and Ryukyu: bj-league legend Anthony McHenry, guards Ryuichi Kishimoto and Shigeyuki Kinjo and pure-shooting small forward Shuhei Kitagawa are back from the title squad, plus offseason frontcout pickups Kazuya “J.” Hatano and Mo Charlo. 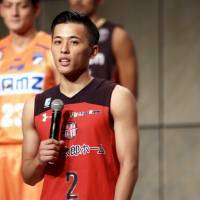 An affiliated third division, also under the revamped Japan Basketball Association umbrella, features nine more teams.